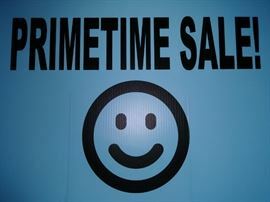 Gorgeous Full sale by PRIMETIME! AddressThe address for this sale in Overland Park, KS 66221 will be available after 9:00am on Wednesday, May 8th, 2019. Cash and Credit Cards only. No Pre-Sales and we do not give out pricing information prior to the sale. We DO NOT supply movers or help in loading large items. Not responsible for accidents or claims. All Sales are final (unless an item does not work and is brought back on the same day).